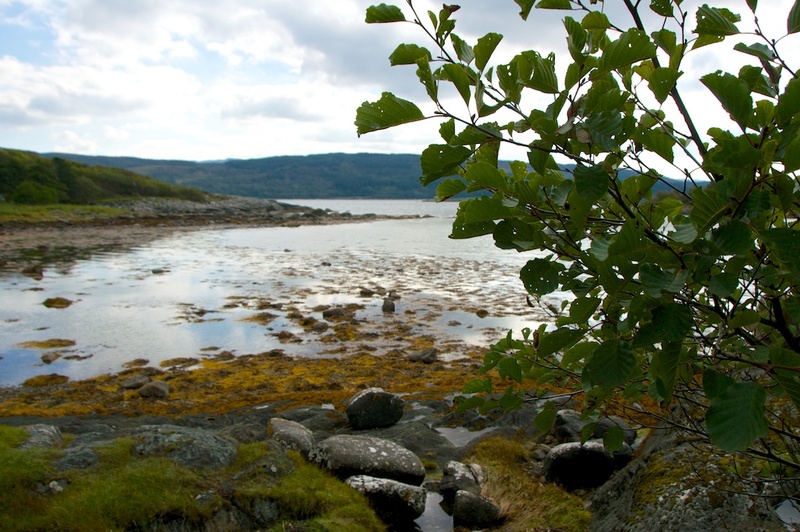 If you’re walking along a river bank or by the side of a loch, it’s most likely that you will come across a grove of alder trees. Alders aren’t spectacular in the way that oak or beech trees can be: they don’t grow to a massive size, nor do they display brilliant colours in autumn. What they have is a strong affinity for water, and this element is woven into their life cycle as well as their properties. 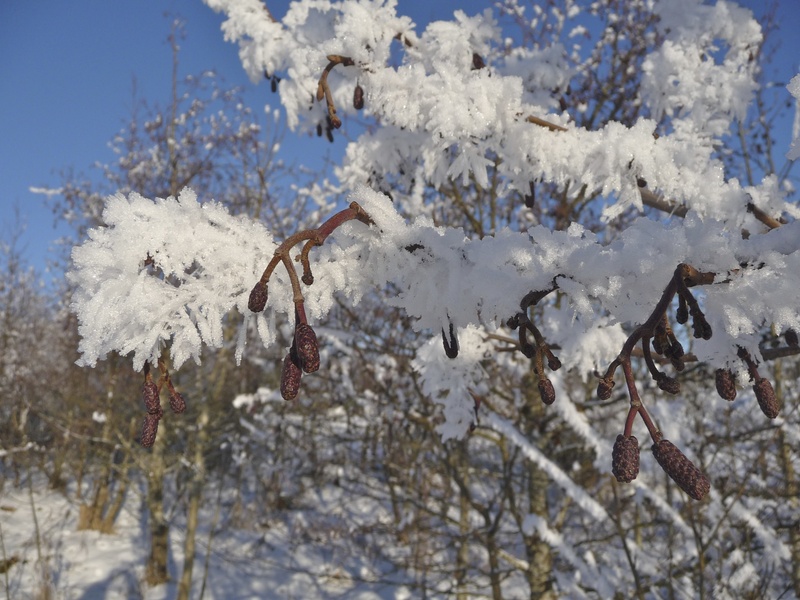 Alnus glutinosa, the common or black alder, is the only native alder in Britain. It is widespread across most of Europe, and its range extends eastwards across Russia to Siberia, and south to Turkey and Iran. It was introduced to North America, probably in the 1600s, and has become naturalised in eastern Canada. 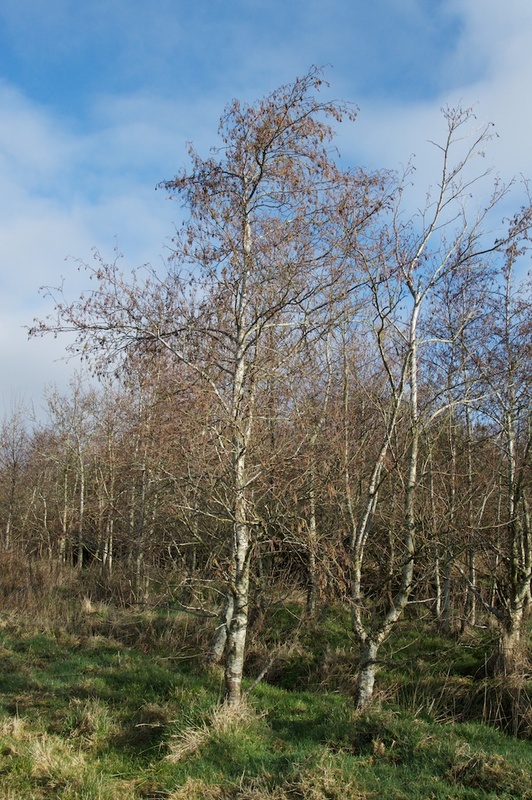 To ecologists the alder is a pioneer species, being one of the first trees to colonise clearings in a forest. Rarely does it grow to more than 70 feet or live longer than 150 years. This is a true water-lover, hugging the banks of rivers and lochs, and flourishing in damp meadows and boggy areas: if its roots are in water, the alder is happy. Alder is monoecious, producing male and female flowers on the same tree. 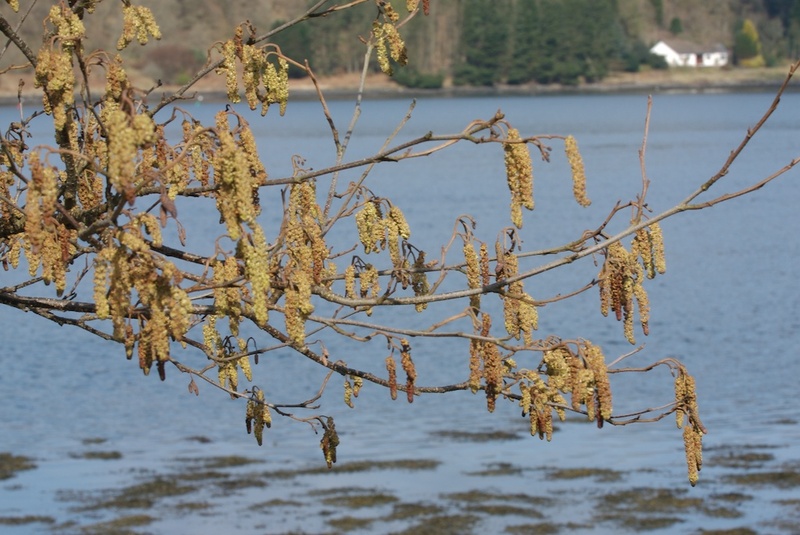 “Clusters of new and pointed female catkins typically develop over winter. These expand into green, cone-like structures during summer, blackening over winter. They release their tiny seeds the following year.” (Gabriel Hemery, ‘The New Sylva‘) More showy are the dangling male catkins, golden lambs’ tails that look like hazel at first glance – but on closer inspection you’ll see they are slightly shorter than hazel catkins, and more compact. 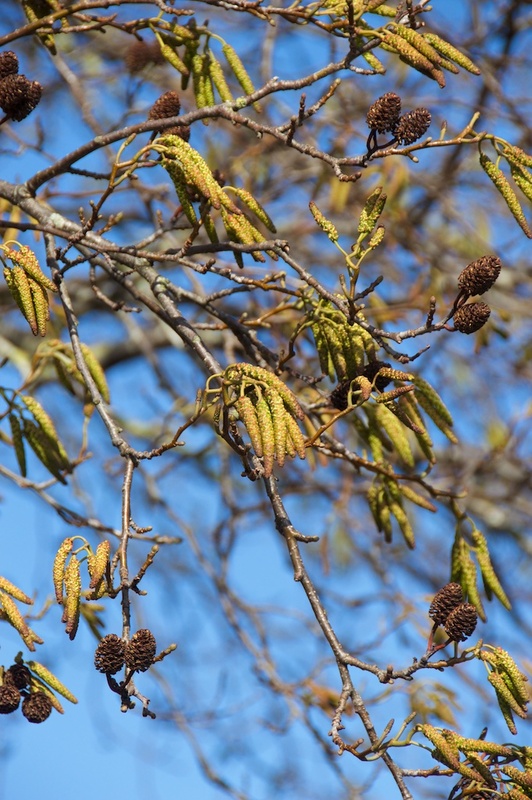 Female catkins ripening into cones. The twigs are sometimes sticky to the touch, hence the name ‘glutinosa’. 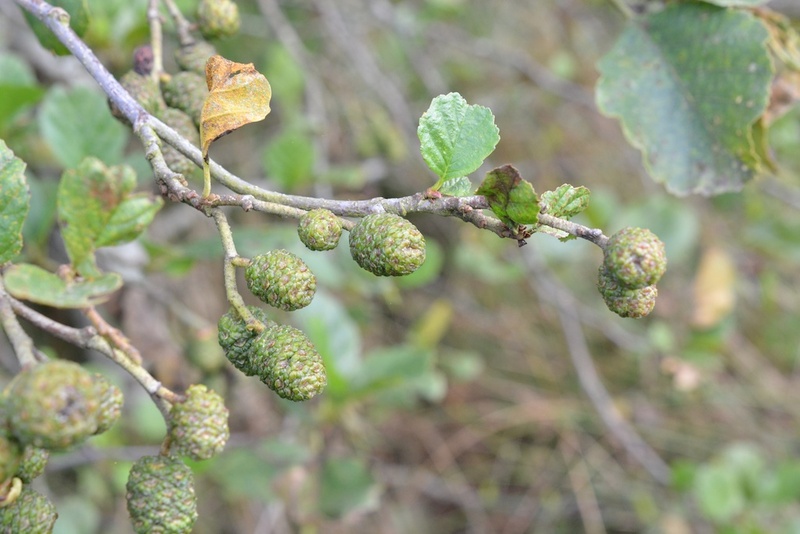 The oval – almost pear-shaped – leaves of alder are quite distinctive, being indented rather than pointed at the tip, which makes them easy to distinguish from hazel. They are bright green and deeply veined, often with a serrated edge. 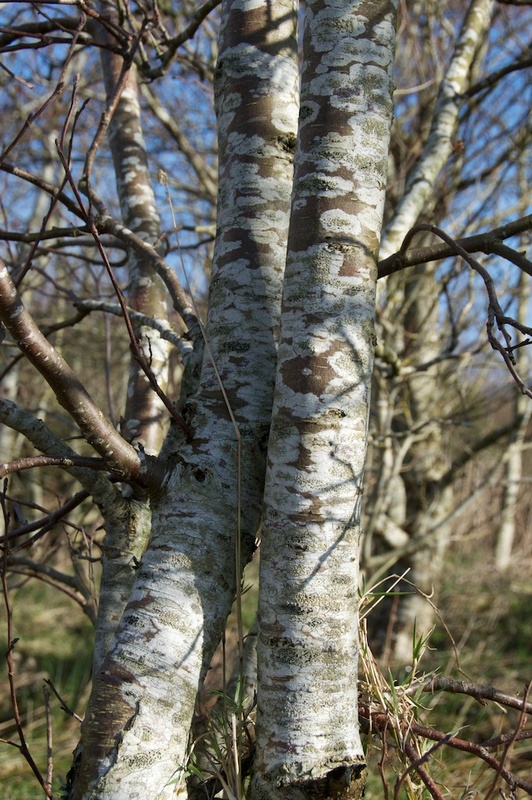 While the mature bark can be brown or dark grey, young alder branches are smooth and often greenish in colour. New shoots may sprout naturally from the base of the trunk. Alder trees are often found in the company of birch and willow. 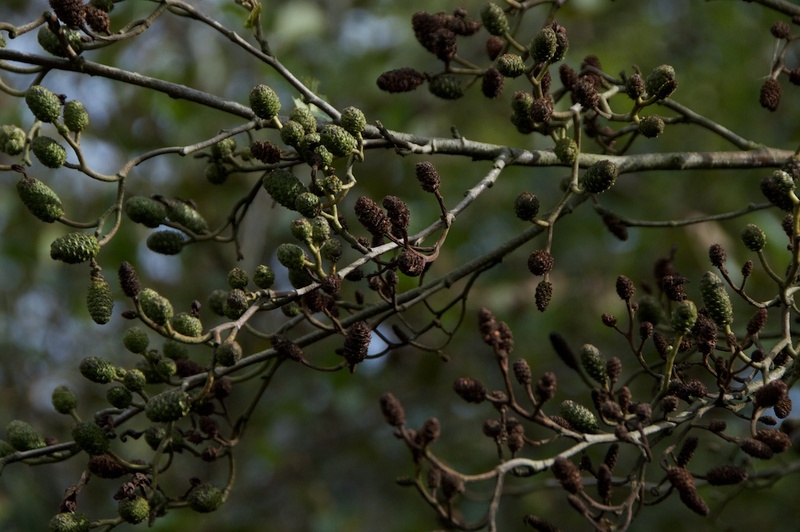 Alder is a food plant for several moths including the delightfully named alder kitten (its head, body and legs are just as furry as you’d imagine); alder catkins are an early source of nectar and pollen for bees, and the seeds are eaten by birds such as siskins and redpolls. As a wood, the great strength of alder is its resistance to decay, even under water – in fact, once it has been submerged, it gradually becomes as hard as stone. For this reason, ancient people chose it for building tracks and bridges over marshy ground, and crannogs stood on beds made of alder trunks. But once it is taken out of the water and exposed to the air, alder quickly begins to decompose. In 1880 a small but enigmatic female figure, carved from a single piece of alder with pebbles for eyes, was discovered in a peat bog known as Ballachulish Moss on the shore of Loch Leven. It is thought to date from somewhere between 728 and 524 BC, and is currently on display in the National Museum of Scotland. 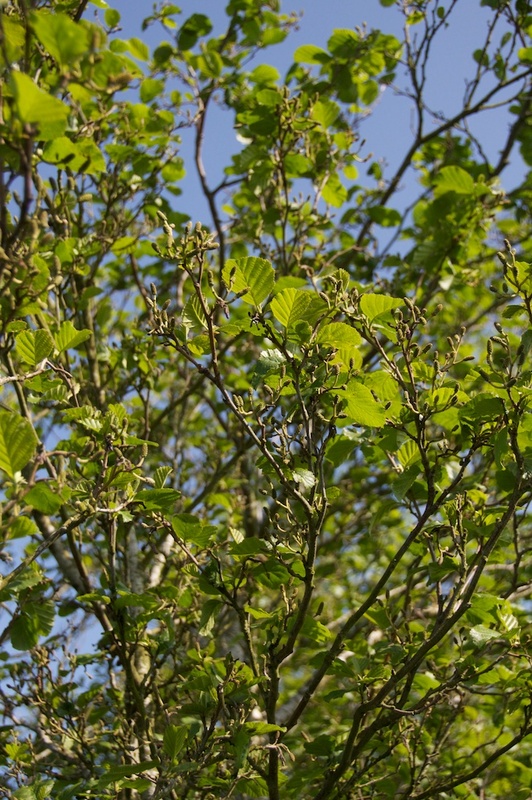 In England, names such as Allerton, Allerbeck and Ellerslie recall the existence of an alder wood. The old Gaelic word for alder is ‘feàrn’, and there are plenty of occurrences of this throughout Scotland and Ireland. 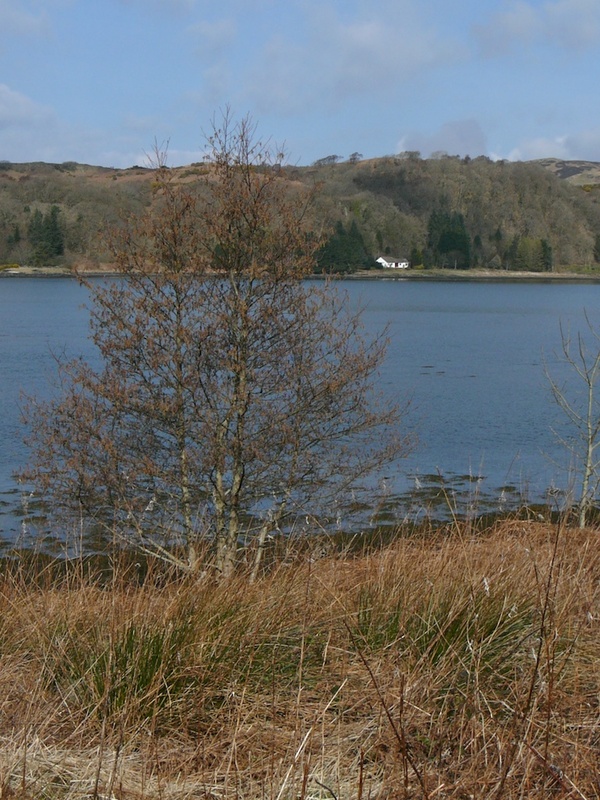 The author Gavin Maxwell’s house was called Camusfeàrna’, the ‘Bay of Alders’. 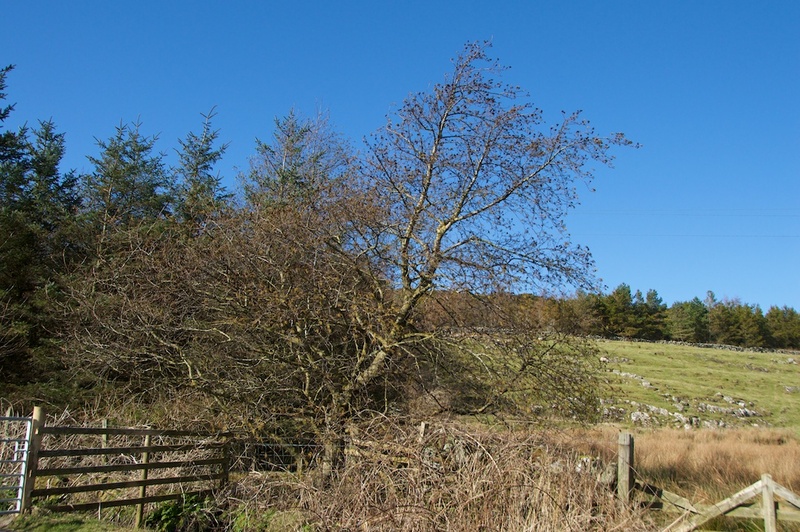 The Welsh form is ‘gwern‘, sometimes mutated to ‘wern’, and these crop up so often in the east of Wales that historians have wondered whether alder trees were grown there commercially in medieval times, so that their timber could be sold to rich Norman estates in Herefordshire and Shropshire. The theory is that the wood may have been made into clogs for farm workers. Waterlogged alder woods are called carrs, and this has also been preserved in some English place names. Bran thou art called, of the glittering branches. In the Welsh Mabinogion, the alder tree is the emblem of the Celtic giant-god, Bran. One story tells how Bran’s sister, Branwen, was being mistreated by her husband, Matholwch, the King of Ireland. Bran calls his men together and sets off to rescue her; when they come to the River Llinon, they find that the only bridge has been dismantled on the orders of the Irish king, so Bran lies down across the river to allow the men to pass over his body. This may be a reference to the alder’s natural empathy with water. Alder was the tree of prophecy and sacrifice, and a shield made from its wood was believed to imbue the carrier with ferocity and protection in combat. Once it has been cut down, the pale wood of alder turns deep orange and releases an orange-red sap, and it may have been this phenomenon that convinced early warriors of its power: to them, it appeared that the alder’s spirit was bleeding and would thus prevent them from being wounded themselves. Warriors became deeply attached to their shields; in Irish mythology they were given individual names and believed to have magical powers in their own right. However much they loved the qualities of its wood, the Irish considered it unlucky to pass an alder tree on a journey. This may derive from the fact that alder groves were usually dark, boggy places where evil spirits were thought to dwell. Given the widespread distribution of alder, I’m guessing that this must have led to some pretty roundabout routes! And just to compound the problem, it was also believed that putting some alder leaves in your shoes at the start of a long walk would cool the feet and prevent soreness. Plenty of careful planning must have been the secret here! According to an Irish legend, the royal storyteller at the court of King Conchobar mac Nessa had a beautiful daughter named Deirdre. She was destined to marry the King, but she fell in love with Naoise, a handsome warrior. 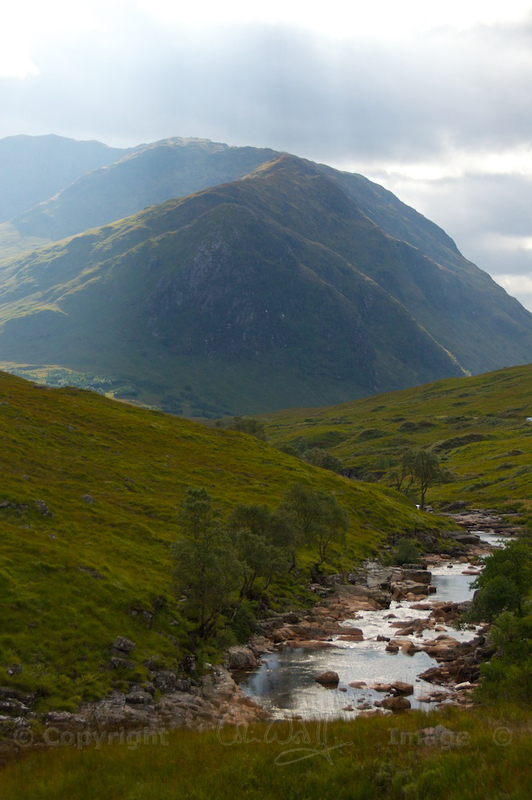 To escape the King’s wrath, Deirdre and Naoise fled across the sea to Scotland where they hid in the alder woods of Glen Etive. But there was no happy ending: they were tracked down by Conchobar’s men who murdered Naoise and brought Deirdre back to Ulster where she was forced into marriage. One version of the story says that she took her own life by throwing herself from a chariot. Is there any more romantic name than Deirdre of the Sorrows? Dyes made from alder flowers were once used to colour fabric for garments, and folklore says that fairies’ clothes were dyed with alder pigment to conceal them from human eyes. Three colours could be obtained: brown from the twigs, red from the bark and green from the flowers. Both the bark and the wood contain tannin, used for tanning leather. Alder burns with an intense heat, making it an ideal fire for forging weapons, and some Bronze Age archaeological finds have revealed the use of alder to make charcoal. Smoke from alder fires was used for divination, as was the movement of the flames. On the living tree, omens were seen in the way the branches moved in the wind, and heard in the rustle of its leaves. Whistles made from alder wood are said to summon the wind and enlist the help of benevolent water spirits. Fresh alder leaves are said to make a good insect repellent, although I haven’t tried it myself. As a treatment for rheumatism, dried alder leaves may be placed in a bed or sewn into a cushion. It has antibacterial properties, and herbalists have prescribed it as a gargle for a sore throat. A decoction of alder bark was traditionally used to treat burns, wounds and inflammations, and alder tree essence is said to relieve anxiety and nervous tension. Thank you very much, Bella and Esme! (And to your Mum!) You are very kind. 🙂 I love finding out about the folklore of trees, and the alder was especially interesting. Thank you for a really interesting exposition on a tree that I’ve often passed without really noticing, though it is very common in these parts – seedlings everywhere, but Manche is a pretty wet Departement! I didn’t know about the insect repellent qualities – to me the best fly protection is elder rather than alder! I can remember riding horses which unaccountably thrust their heads into the bushes and refused to move, on fly-busy days. So glad to know you enjoyed it, Viv. I learned a lot while reading about the alder. Like you, I have often passed it without really noticing or identifying it – but no longer! That’s really interesting about the horses – they obviously know far more than we do! Thank you, Lynne! This whole thing started partly because I didn’t know much about trees either. I have learned to recognise many kinds now! There’s so much of interest in the folklore and natural history as well. 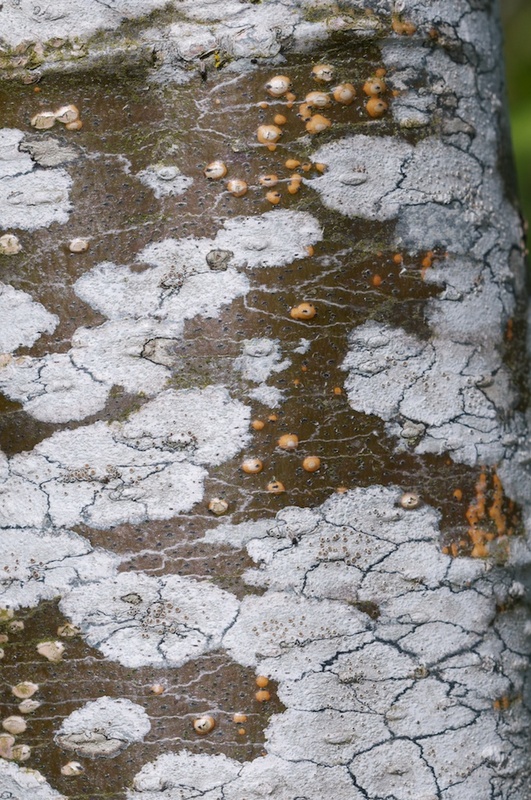 I like very much the patterns described by lichens on alders’ trunks. Yes! So beautiful, and such lovely colours. Nature is a brilliant artist! You are very kind, and thank you! Do you ever use alder wood in your work? Thank you very much, Lorna, and I’m very glad you found the alder as interesting as I did. There’s just so much folklore connected with trees, and I could get completely absorbed in those old legends. I agree with you about the alder kitten! How cute is he?! Great read….and that added to my knowledge…..though I admit to loving the myth and legends these days far more than fact. So what is the next specie on your list? Jo….I should have added that we live in what was once the village of Allestree. As the village has at its heart a Church, Local historians have linked the name to Saints…Alliards tree. But none that I have read have linked it to Alder. Yet Allestree is on bluff above the river plain of the Derwent and there was much woodland around and there still are many Alder along with other natives. Thank you very much! I love the myths and legends too, and I could get drawn into them with all their magic and hidden significance. I’ve no idea yet what the next species will be – perhaps juniper, but then there’s also ash, wild cherry, elm, willow, aspen, and many more – enough to keep me going for quite a while! So glad I came across your very informative article. Our house is called “Alderstone” and now I know what it means! Thank you and I’m looking forward to reading the rest of your series. That’s so good! I am delighted to hear you’ve enjoyed this and it could not be more fitting with the name of your house! 🙂 Thank you for your comment! Another wonderfully educational and eye-opening post. Thank you so much, Jo! A thoroughly fascinating article! Thanks Jo! Gavin Maxwell’s house was not on Skye but on the mainland, the house is gone but the site is very atmospheric. Thanks, Terry. I should have known that myself, as I went past there many years ago. 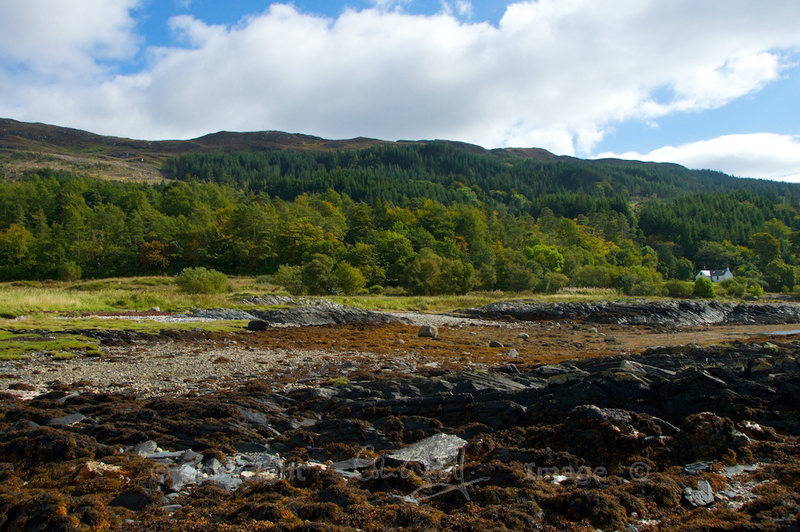 I know where it is – near Glenelg, in a very tranquil spot. thanks for putting this together – it’s very interesting. Could you give me a specific reference for “d a shield made from its wood [Alder] was believed to imbue the carrier with ferocity and protection in combat.” It would help me with some research that I am doing.